• Firstly, you need to download the QuickBooks file doctor in your system. • The point to be noted here is that you need to have the latest version of QuickBooks file doctor in your system. This means un-installing the previous version and then downloading the latest version. Once the download get completed, double-click qbfd.exe and follow the steps displayed on the screen for installing the QuickBooks File Doctor. • The QuickBooks File Doctor will open automatically post installation. Take a look at a green wrench icon on your Windows task bar if you don’t see the automatic execution of QFD. • For finding your company file, you may use the drop down list. If you are not able to view your company file in the list, click the browse button and manually find it to proceed with the following steps. • Both file damage and network connectivity: If you assume your company file is severly damaged and you view a 6xxx error (like -6150, -6000 -82, -6000 -305, -6000 -301, -6147, or -6130) when you try to access your company file. • Only the Network connectivity issue: If you are accessing the QuickBooks in a multi-user mode and encounter a H202 (or H303/H505) error when you try to access your company file (network errors) in Multi-User set up. • When initiated, just put in your Admin password for your company file then click Next. • You will then be given an option to select Host/Server or Workstation. It is essential to ensure that you choose the correct option. • If you are executing the File Doctor on a workstation, which means that your QuickBooks file is basically not stored/hosted on this system, then choose Workstation. • However, If you are executing the File Doctor on a Server computer which means that the QuickBooks file is actually stored on this system, then choose Server. You should also pick the Server if you are the sole user and implement the QuickBooks on only one system. • Yes: If you are executing File Doctor on the system hosting the company file. • No: If you are executing File Doctor on a system that is not hosting the company file. • Take a pause, until the File Doctor completes the diagnoses. The point to remember here is that, If you are executing the data damage protocol, you will have to pause until the tool completes the diagnoses. It all depends upon whether your file is local or on a network, and the size of file. It may take sometime for finishing the diagnoses and repair work of your data file. The network only set up is not supposed to consume any longer than a minute or two for this process. 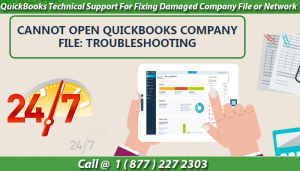 In case your error does not resolve ever after executing the above steps, feel free to take assistance from the QuickBooks technical support team by dialling 1 ( 877 ) 227 2303. You’ll get 24×7, prompt response to your queries.